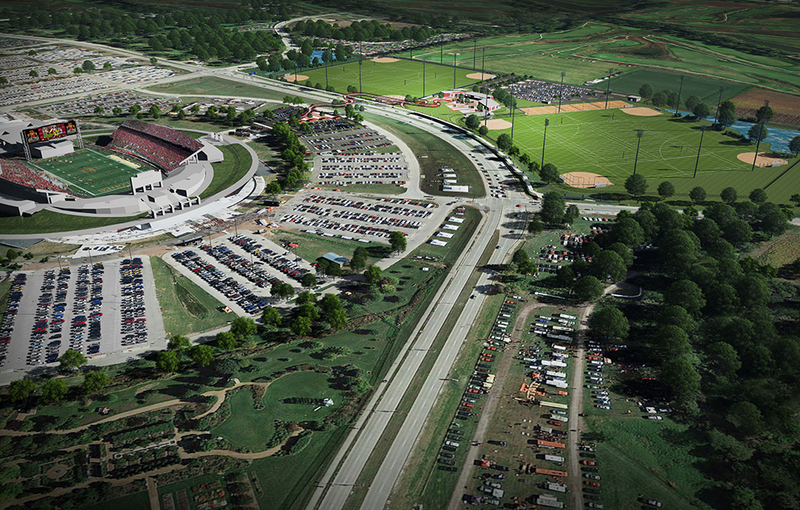 Over the summer of 2016, Iowa State University engaged Hastings+Chivetta to conduct an Outdoor Recreation Facilities Master Plan. 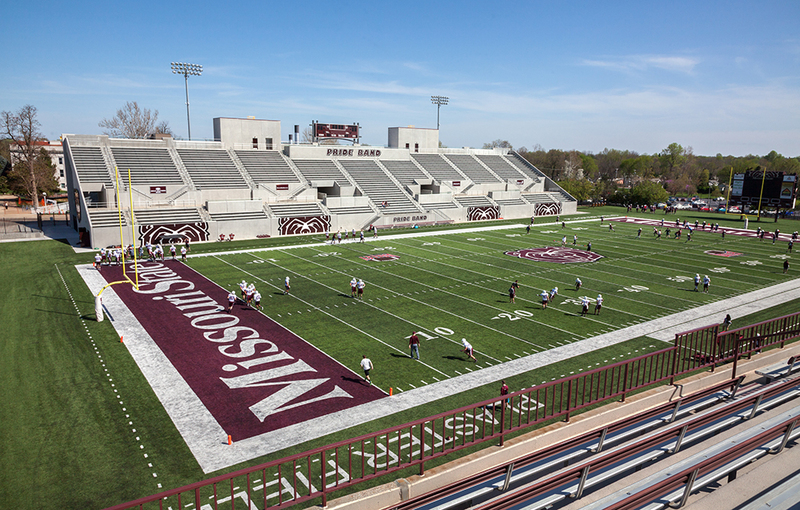 The study examined the recreation fields and facilities at four locations across campus. The plan developed around the objectives of increasing the functionality of current resources, providing upgrades in the quality of facilities and enhancing University engagement. 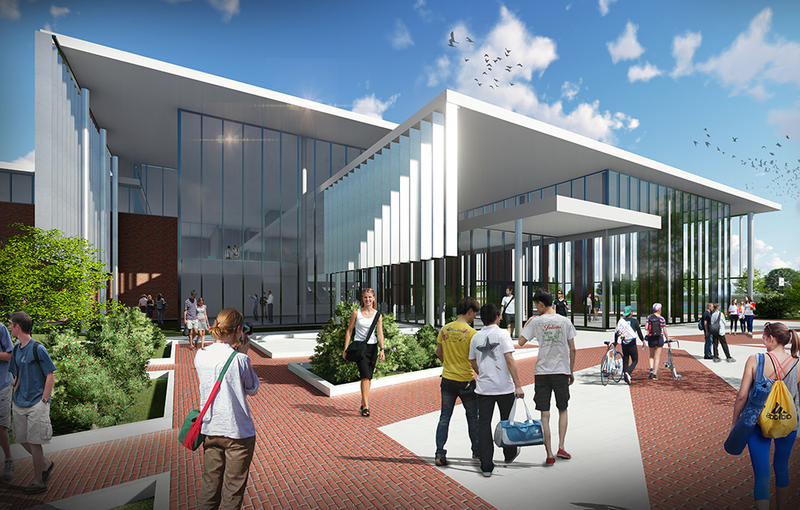 The master plan process included a quantitative and qualitative assessment of the University’s existing fields and facilities, programs summarizing the proposed improvement options and conceptual studies for each site. These studies explore the objectives of the plan and provide solutions for how they can be facilitated. The Master Plan capitalizes on the myriad of resources and facilities contained under the Recreation Services umbrella while strategically adding and accentuating improvement to support a growing and changing population. 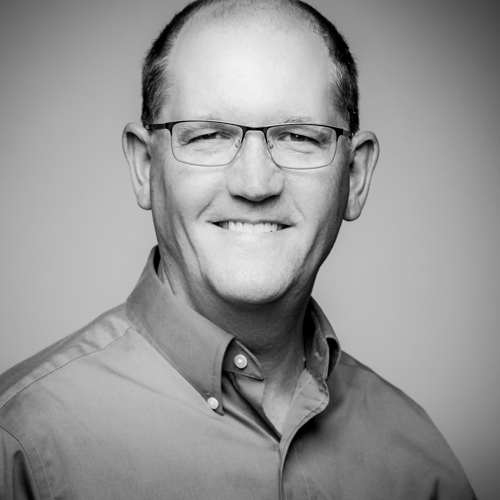 The programmatic needs for the University were gathered during a series of on-campus meetings with Recreation Services and Facilities Planning and Management staff. During the course of the meetings and over the weeks that followed, iterations of the concepts were developed, including implementation strategies. Observational data was gathered by touring 100+ acres of outdoor complexes and fields as well as walking through 400,000+ square feet of indoor space. 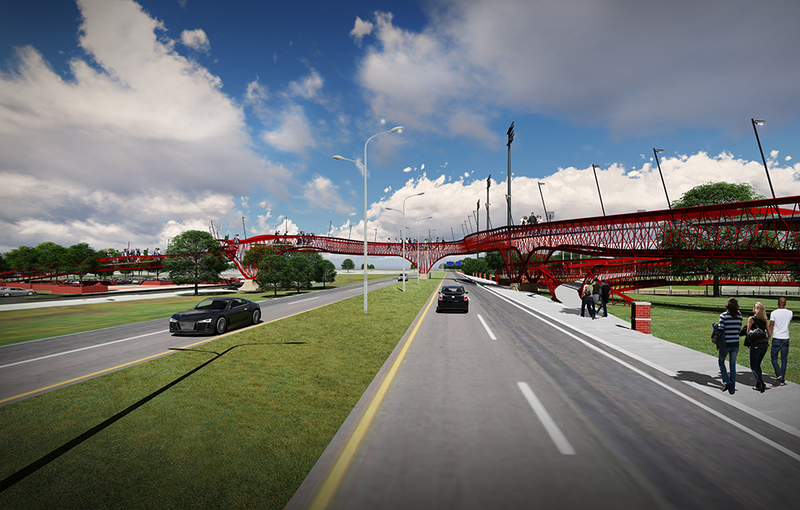 One of the planning team’s recommendations was a pedestrian bridge connection from the outdoor recreation fields to the football stadium parking lots. 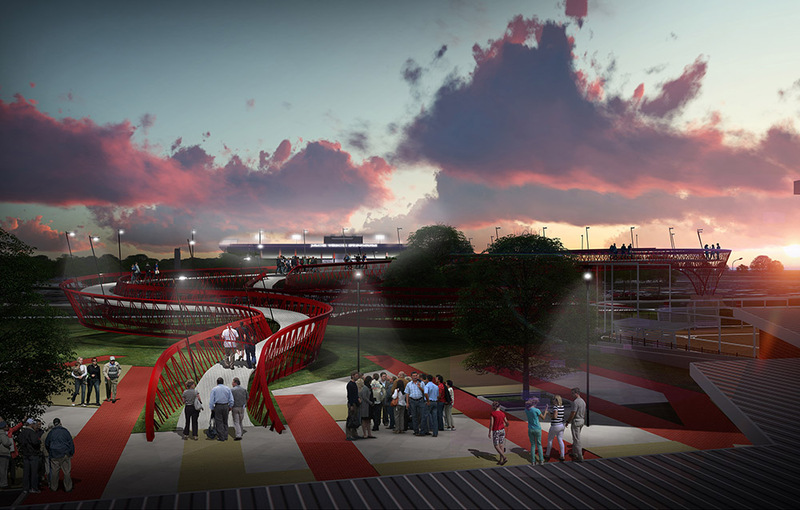 The proposed bridge would serve as an iconic gateway to campus. The elegance and lightness of the structure conveys the dynamic interplay of pedestrian and vehicular movements rising up out of the earth and passing under the delicate structure. 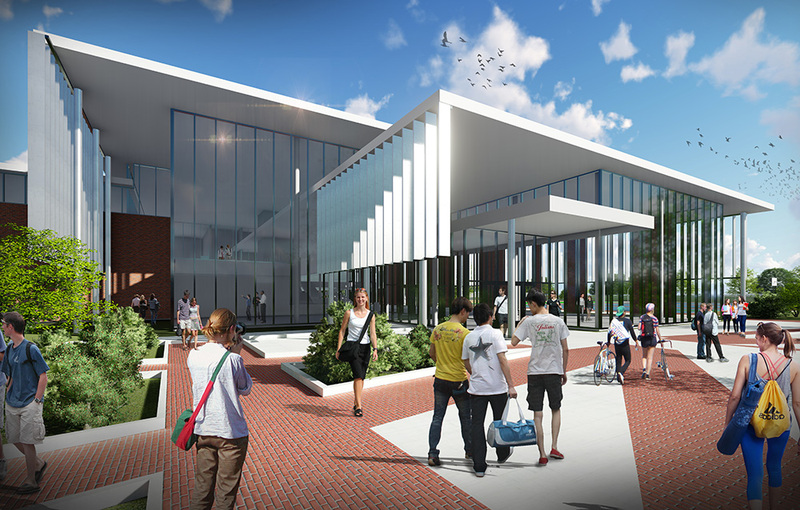 Comprised of a diaphanous modular web of steel elements, this connection between east and west will bring athletics and recreation closer, and serve as a safe and pragmatic element in this area of campus – a true landmark. 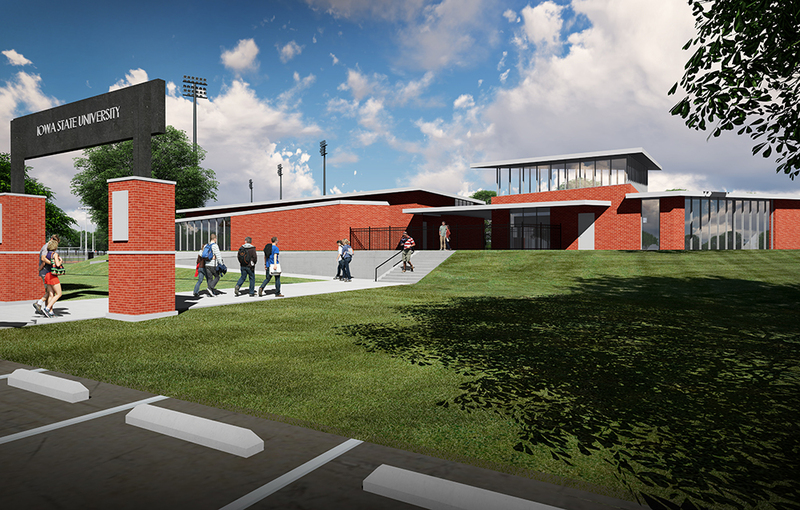 A Clubhouse was recommended to serve as a gateway to the Southeast campus athletic fields and act as the central distribution hub for users and utilities. A meeting room and training spaces will serve student users as they compete and stage activities on site. 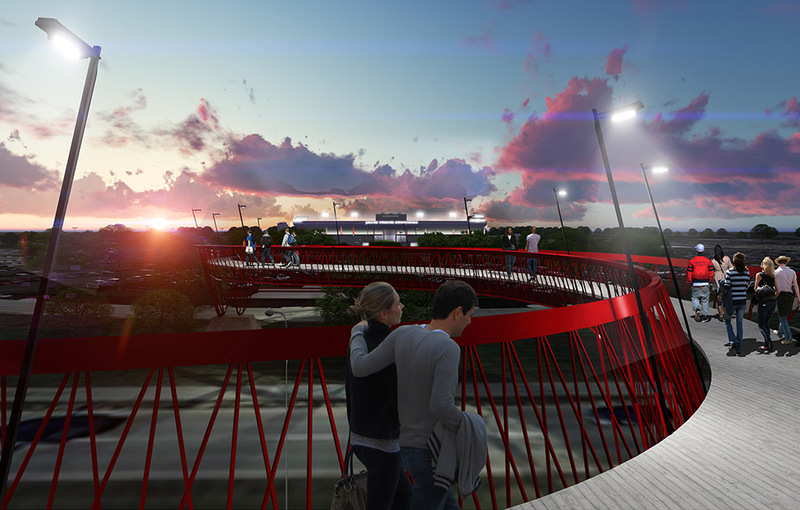 An observation lookout gives users an aerial perspective of the south edge of campus. 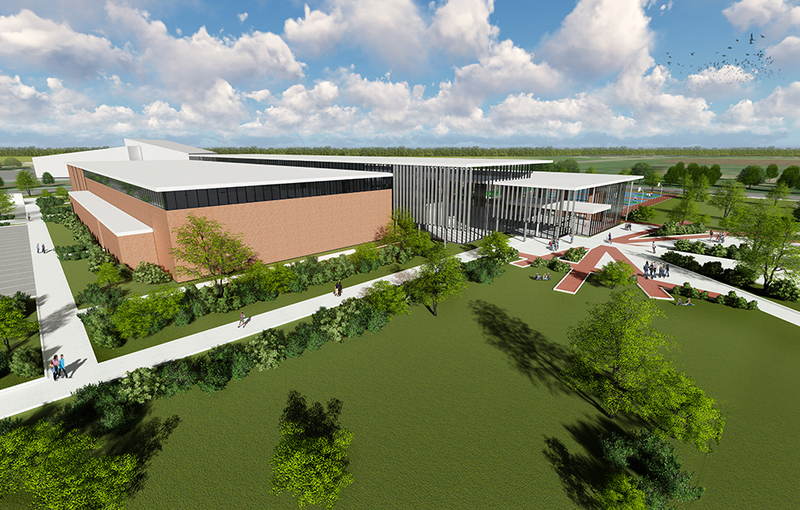 In addition to the field study, Hastings+Chivetta developed a conceptual design for the proposed Towers Recreation Center which would provide approximately 100,000 SF of recreation, fitness and wellness amenities as well as a 140-seat auditorium. The design team also recommended the development of an archery building with indoor and outdoor ranges.